Sony's Christmas sale has entered its second phase on the European PS Store, swapping out last week's discounts with a fresh batch. These deals will be available for the next week, so be sure to check out what's on offer. Some highlights this time around are God of War - which just won Game of the Year at The Game Awards - for £24.99, Far Cry 5 for the same price, and Shadow of the Tomb Raider for £27.99. 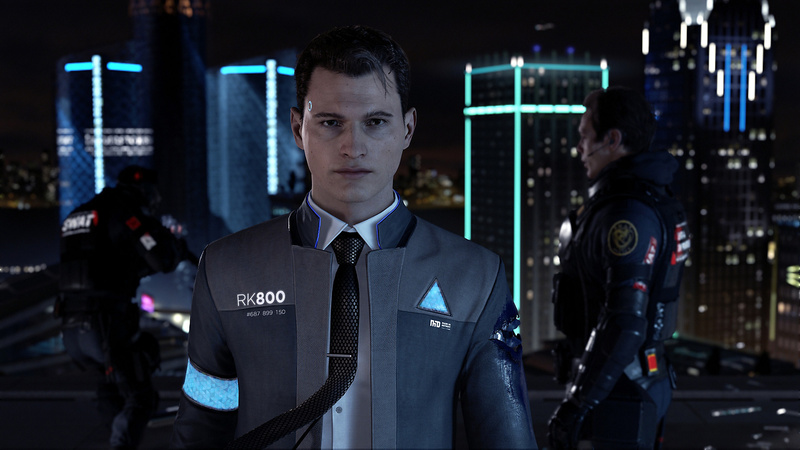 Perhaps the best deal this week is Detroit: Become Human. The Digital Deluxe Edition is down to just £17.99, and for that price you're also getting Detroit's soundtrack, a digital art book, some dynamic themes, and Heavy Rain on PS4. Two games plus bonuses for less than 20 quid seems like great value to us. Will you be picking anything up so close to Christmas? Let us know what you're buying in the comments below. and a amazing price deal price for detroit! Probably a good time for me to finally get God of War! @Danny_C a fantastic time Danny. I'm jealous that you havnt played it yet. Those recent Black Friday deals that shops had for Detroit Become Human are making this PS Store price seem a bit too high for me, especially as I'm not interested in the Deluxe bonuses. I only recently reached the end of Heavy Rain, so I'm in no rush to play another one of their games, so I'll wait and see whether any shops have some good Boxing Day deals on Detroit. That price for God of War is very good. Gravity Rush 1 is also cheap now at £8 on the PS Store until the 21st, though that appears to be an unrelated deal to these weekend Christmas deals. Maybe I'll bite on one of those two. Detroit and Tomb Raider for me, as now I'm finally done with all my other major 2018 releases - except Spyro, but for me that's dip in, dip out when I want to nostalgically relax - then I wanna get both Detroit and Tomb Raider played before the year is out, and also I have the sudden urge to play the SoTTR this weekend...that mega-discounted Croft Edition is looking really enticing as a lover of the challenge tombs in previous games! Haha, can't wait any longer - I've rubbish impulse control! That is a good price for Tomb Raider, cheaper than any of my trusted sites that I use. Wavering over Detroit... I know it'll fall into the backlog pile but it does seem like a great price and probably won't go much lower again on the near future. I bought Detroit in Argos on black Friday for €16.99, that's euro not sterling. I then started my first play of Heavy rain on my PS3 from my backlog. I going to play the 3 games in order. Heavy rain is great. That’s a bargain for Detroit, but £35 for Fifa?